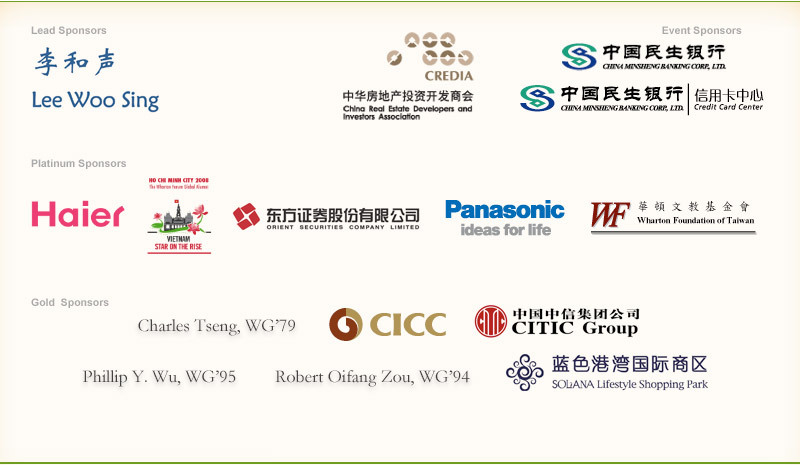 China Minsheng Banking Corporation (CMBC) and The Wharton School is pleased to invite you to a friendly game of golf. The tournament will be held at the scenic open greens of Beijing Willow Golf Club. Beijing Willow Golf Club with Beijing Technology district — Zhongguancun. The world largest and the most preserved China Royal Palace — The Summer Palace Domestic and foreign well-known, well-renowned universities — Beijing University, next to Tsinghua University, with positive economy, environment and culture, Convenient transportation and beautiful view. The Golf Course is located in a place where is away from the downtown of the city and arounded by the Beijing West mountain and KunMing lake, it feels like a dream place.Beijing Willow Golf Club is formed by a 18-hole international championship golf course and a 9-hole golf course, the concept design of Landscape is carried out by SASAKI America, enhance visual effects of the course.